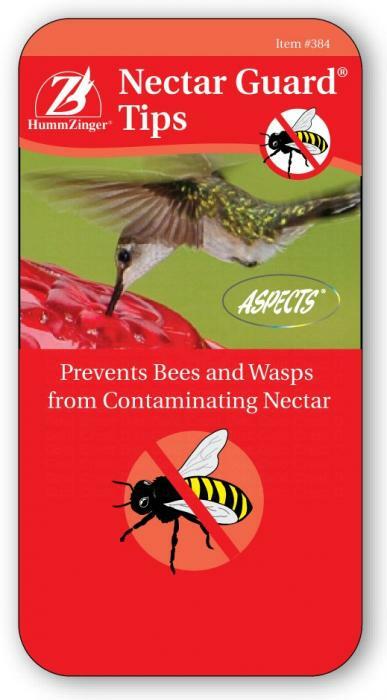 Keep those pesky bees and wasps far away from your hummingbird feeders with the Aspects #384 Nectar Guard Tips. These tips slide onto the feeding ports just beneath the feeder cover to create a soft plastic membrane that's impenetrable to insects. 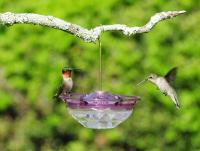 The best part is that when hummingbirds are ready to drink the nectar, the guards easily open up with little resistance. 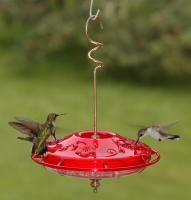 These useful Nectar Guard tips can be used with the HummZinger Ultra and Fancy hummingbird feeders. 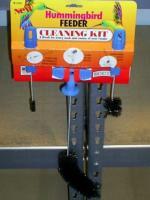 Get this pack of 12 tips and rid your feeders of annoying bees. 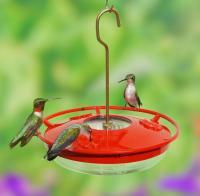 I currently have a HummZinger feeder and love it! These are replacement nectar guard tips which we find keep the wasps out. It works fine, but birds didn't know where to find the holes. I put a stick on white reinforcements over the holes until they found them. 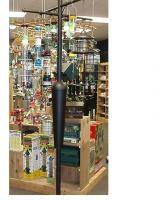 If you have an insect problem, you will find no better product to protect your hummingbird feeder from insect invasion. They simply cannot get at the liquid inside the feeder. A wonderful addition to my Humzinger feeder. So far the item works good!